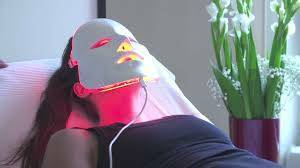 New to facial treatments or just looking for something different. At Reflect we have a full range of facials available, whether it’s to deal with a specific skin problem like Acne or Eczema. Or to reduce the signs of ageing and the appearance of fine lines and wrinkles. Maybe you want some luxury treatments to de-stress or to improve your skin health. Over 95% of our treatments are free of the harmful nasty chemicals that we would all rather not have on our skin. Ask one of our skin experts when you visit the clinic. HydraFacial – The Most Popular – Celebrities choice – Immediate results – No downtime – Anti Ageing – Skin Problems. The New PERK – Works double-time by gently cleansing and replenishing skin with potent antioxidants to reveal a gorgeous, healthy glow. The Dynamic Duo – A secret combination designed to make your skin glow and gently de-stress. The 60-day challenge – Supercharge your skin with this sixty-day take-home facial. 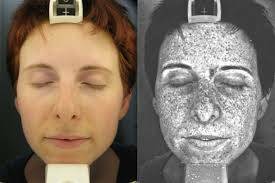 With our advanced UV (ultraviolet) skin analysis technology we can tell you your skin age. This technology can see any underlying damage to your skin. And helps our skin experts recommend the most suitable treatment plan for you. We analysis your skin at regular intervals so that we can monitor your progress and improvements. Contact the clinic today and arrange a free skin consultation with one of our skin experts. Healthy glowing skin is a phone call away or click the link below and complete the contact form.